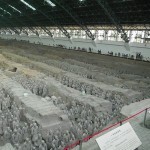 Things to do: Terracotta Warriors and Hanyangling Museum (another terra cotta army from Han Dynasty). Your guide will meet you at your hotel to start your non-shopping private tour. 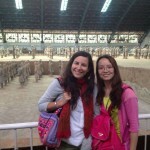 After about one hour’s ride, you will arrive at the Terra Cotta Warriors and Horses Museum, the highlight of Xian. After your memorable hours at the museum, you will head to another wonderful warriors museum, the Hanyangling Museum, well known as the tomb of Jingdi, which is another terra cotta army from the Han Dynasty. Transfer back to your hotel or the airport. Your pleasant private tour ends. * Please understand that 5% Paypal fee is on your side. Pay Now at last minute during the high seasons will accelerate success bookings. Entrance tickets. Please visit the prices of major Xian attractions for your reference. 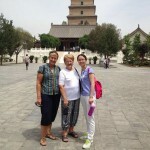 we had visiting the Terracotta Warriors museum, Xi’An’s Mosque, and the great goose pagoda in the company of Caroline. 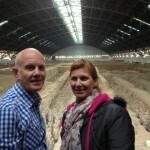 Caroline is an excellent guide and even better ambassador for Xi’An. She is evidently knowledgeable not only about the history of Xi’An and its surrounding, but about China in general. Her explanations were detailed, and she was able to answer all our questions. 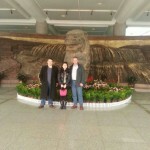 My friends and I were extremely pleased by the services provided by Terracotta Warriors Tour. 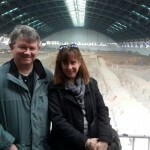 We decided to go to Xi’an at the last minute so we had to call the day before we arrived to setup a tour. Olivia was extremely responsive on the phone and via email and ensured me everything would be all set to go Sunday morning. Katie arrived promptly at 9 am along with our her driver to get our tour started. She was an excellent guide and her English perfect. She gave us insights throughout the day and even took us to the Muslim market at the end of the day and gave us an idea about prices we should be paying. 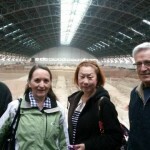 We all would highly recommend the services of Terracotta Warriors Tour. We loved our tour and our guide. He was very professional, knowledgeable and a pleasure to be with. He went out of his way to show us Xian. He was fantastic! We had a fantastic day and Amy was an excellent guide. 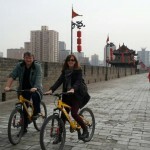 We would recommend her and your service to anyone visiting Xi’an! 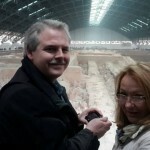 I had a short but good visit to Xi’an, thanks to Kelly and the driver (Mr Wang, am I correct?) They were efficient and helpful, and helped me make the most of my short stay there. Thanks again for your help! Very enjoyable day thank you. Brilliant guide – very knowledgable, friendly, helpful and excellent English! Driver very good too. All in all we had a great day! Thank you very much! Thank you for your help and the tour. We really enjoyed it and our guide was very kind. we had a lovely and unforgettable experience of the tour. I think we were fortunate to get a tour guide like Helen Jia, who made our tour very memorable, and also the Mr Tang, who drove us safely. You have have very efficient and effective. I am very impressed with your service! Able is good. She made great efforts to get me the 长恨歌 tickets on short notice. The show was great. 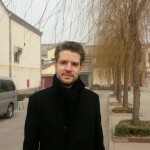 Driver Wang is very good – efficient and knows his way around Xian very well! Helen our guide was great and I strongly recommend asking for her. 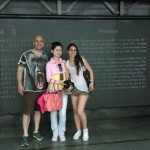 This company is based in Xi’an and the people really knew the history and stories behind the sights. We had a great time and thank you for accommodating us on such short notice. Very pleased with the service provided. 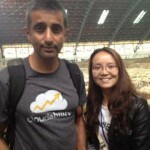 Good english and mandarin explanation of all sites visited. 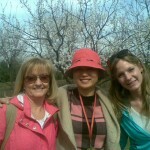 Kelly was a lovely guide – very knowledgeable and friendly and we thoroughly enjoyed our time in Xian with her. We would have no hesitation in recommending her to others and would certainly like to use her services again if we return to Xian. (Our driver was very friendly and courteous – and was very prompt arriving at our hotel for our transfer to the airport). Thank you for making our trip so enjoyable. The company and our guide delivered an excellent service all the way around. 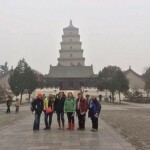 I would recommend them and would use them again myself on another trip to Xi’an…….In short, I think your company did an excellent job of getting us to and from various destinations. Just a quick email to let you know that we enjoyed the tour and found Kelly to be very friendly and helpful. The tour was fantastic and Amy took good care of us and was a wonderful guide. Cheers! The tour overall was great. We thought that Caroline was very good, knowledgable, polite, patient (because we have a young daughter so trip could be a bit slow), her English was good. Mr Wong was kind too. Overall, were happy and gladly recommend to friends! The guide, Caroline was very knowledgeable and she helped us. With a baby on board, the driver was careful and accomodating as well. Overall, I would rate your service A++. I will highly recommend your service to any of my friends here in Canada visiting Xi’An. The service provided is true to every word you mentioned in the contract and in many scenarios more than you mentioned. We thoroughly enjoyed our tour! Helen was so sweet and informative. She was extremely conscientious, providing us for ideas on what to do the following day, as well as contacting our hotel to make sure our reservations were in order. Our driver, Mr. Li was excellent as well. He even accompanied us into the hotel to make sure all went well. 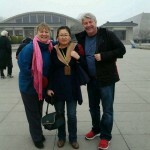 We were very happy with Helen and her driver Mr Lee. I can totally recommend her to any other tourists in need of a very experienced and skilled guide! 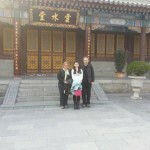 Our trip to Xian was absolute pleasure as everything was very well organised, thanks to you all! If we come back, we will definitely book with you again! Please send out our best regards to Helen and Mr Lee! They really made our day! Hello! 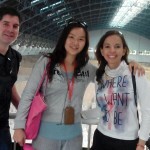 I just wanted to let you know that I made it safe and had a great time in Xian! I am heading now to Beijing, and wanted to thank you for paying attention to me, and helping! Thank you very much! God bless you! We had a great day on your ONE day tour and Helen our guide was great fun to be with . Her English was very good. 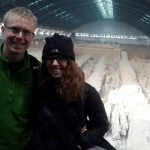 NOT just her knowledge of Xian and the Terracotta Warrior visit but her personal passion for the whole place…….We STRONGLY recommend anyone taking one of your tours and ONE DAY hope to come back to XIAN. Kelly was very informative, nice, spoke really good English, patient, everything you could ask for in a guide. She answered all our questions and even after our tour she even helped us prepare for our next journey. The driver was polite and helpful, always opening the door for us. The tour itself was amazing. 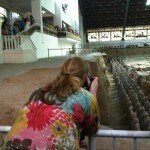 The terracotta warriors was the highlight of the day, breathtaking and very interesting, Must see! The Muslim street I enjoyed and the dumpling banquet was delicious, highly recommended! I would like say our much we enjoyed our 2 days touring with Elaine. She was a great tour guide, very knowledgeable and made all the history interesting to listen to and we all learnt a lot. She went out of her way to ensure we had a great time. The driver was also very good dropping and picking us up at the entrances and exits. 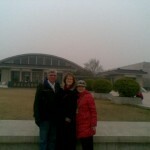 We would highly recommend Elaine to anyone wanting a tour guide in Xian. I am so appreciative of your fast arrangements to get us set up with this tour, and for finding us such an excellent English speaking guide. 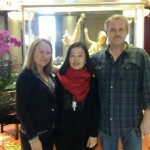 My friends and I were completely satisfied with your service, and with our guide and driver. I will recommend you to all my friends and colleagues. You guys are great! The registration and your quick replies were much appreciated. Helen was fantastic and we had a great day out. The kids enjoyed themselves very much. 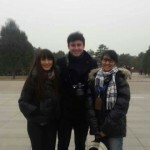 I will definitely be recommending your services to friends planning trips to xi’an. In fact, we know two families coming soon so I will pass your details to them. Thank you so much, Kelly and Mr. Driver, for showing us around this wonderful city, and thank you also, Olivia, for arranging this. 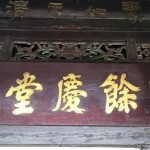 I would recommend this tour to anyone travelling to Xian for the first time. We are so happy with our tour. “Sarah”, (Chen Xiaofang), was absolutely fantastic. 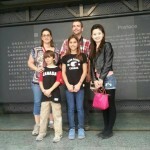 Her English skills were great, and she was very knowledgeable about all the features we saw. She was very solicitous of our health (my friend Claire wasn’t feeling well), and made sure that we had top viewing spots. We felt able to ask her questions about Chinese cultural mores and personal things. The vehicle we travelled in was a large people mover, clean and with air conditioning, and the driver, Mr Tang, drove safely and confidently. Will definitely recommend you! Just wanted to thank you for a great tour. 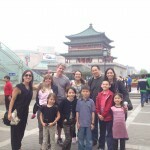 We really enjoyed our visit to xi’an. I can’t believe how much we saw in one day. Our tour guide sarah was very good. She taught us a lot and had an answer for all of our questions. 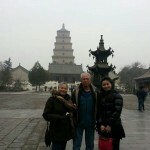 We are glad to inform you about our one day tour with HELEN. In the meantime we are back and dreaming a lot about this day. Helen is a wonderful person, speaks really good English and has a great sense for humor. We like her very much. The driver was very good, nice and helpful.The tour in itself was really informative and Helen gave us to the most of our question an answer. Comfortable, safe and friendly… What exactly we need!I made all the organization through e-mail with Olivia, the owner of the organization. She was helpful all through the process. At the airport Cheng as Kelly (English name), was waiting me and my husband. Then we met our driver, Dink (sorry for spellings). The van is very comfortable and our driver was a good one. Spring was absolutely wonderful!! 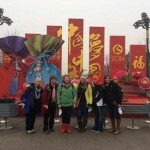 We loved having her show us Xi’an. She’s awesome! She had exceptional knowledge and great stories. She made our trip. Our driver was very lovely as well. He was gracious and made us feel very safe in his hands. 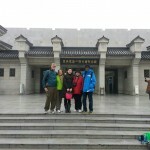 Thanks so much and we will definitely recommend TerracottaWarriorsTour.com!! Sally was very friendly, knowledgable, and punctual. Her English was excellent and she had a good answer for all my morher’s never ending questions about the warriors. She was flexible and allowed us to cut the tour short to better suit our schedule, no problem. We really appreciated that. …… Overall, the tour was well worth it, and Sally was a great guide I’d give her two thumbs up.